Most of us are curious as to how “Project Sansar” will / won’t / might / might not work (with some already going to far as to pretty much write it off before even seeing it, which to me seems a tad premature). In her own digging around, reader Persephone came across an interesting piece of information, and was kind enough to pass me a link to a case study from Amazon concerning the Lab’s use of Amazon’s EC2 Container Service (ECS) and Docker technology within Project Sansar. 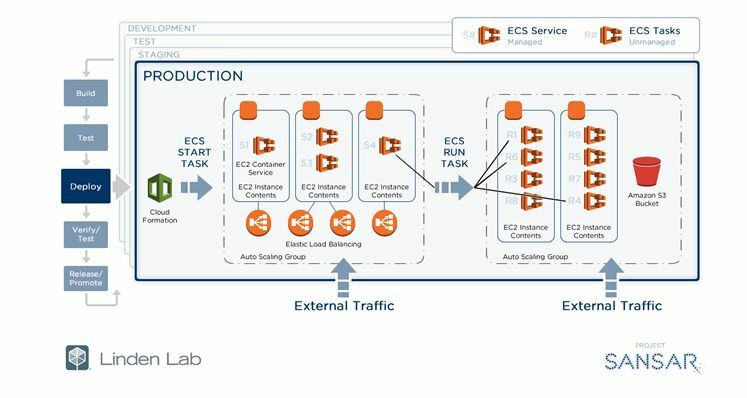 Amazon’s ECS is a “scalable, high-performance container management service that provides cluster management and container orchestration”, which Linden Lab uses to run “the containerized web applications and back-end services of Project Sansar”. Docker is an open-source technology that allows a developer (e.g. Linden Lab)to build, test, deploy and run distributed applications – all the code, runtime elements, system tools and libraries, etc, – within a “container”, a method of operating system virtualisation. The upshot being it allows an application to be presented as a standardised package for rapid and consistent deployment, regardless of the environment in which it is to be used. Precisely what “back-end” services for “Project Sansar” are being deployed in this manner isn’t clear; I’m certainly no technical expert and so am open to correction / other ideas. However, we do know that a key element of “Sansar” is the ability for customers to build and deploy their own gateways (e.g. websites / web portals) to draw their own audiences into the experiences. So, is the use of ECS a means of achieving this? Presenting customers with a packaged environment in which they can build and deploy their own “Sansar” gateways? Or might it be the mechanism the Lab are looking to use to handle the management and scaling of support systems such as the chat, asset and other services – many of which do appear to be of monolithic design with Second Life, and which sometimes don’t scale particularly well. 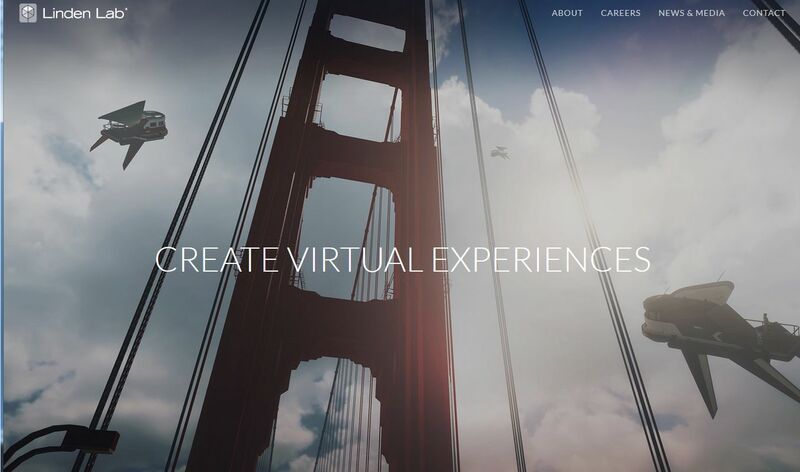 Could it be that the mechanism might actually be for more than just “back-end” services – such as the actual packaging and presentation of “Sansar” experiences themselves? We know that the Lab are wrestling with the issue of optimising “Sansar” experiences and their content so that they present a performant experience across a range of client platforms. We also know the Lab intend to provide a means by which experiences can be rapidly deployed when needed (e.g. the WordPress / You Tube analogy of build and then push a button to deploy) or rapidly scaled via instancing to meet the demands of large audience numbers. Both of these requirement would seem – to my untutored eyes at least – to fit with the model being presented, although both would tend to suggest the use of ECS beyond the support of “back-end” services. As it is, we do know the Lab already use Amazon’s services for presenting some of their SL-related services – so developing an existing relationship with the company for the benefit of “Project Sansar” would appear to make sense. At the very least, the case study offers the potential for further “Sansar” questions to be asked at the next Lab Chat. I am not an expert of distributed applications and Docker, though I did read some stuff about it. There is a lot of talking about Docker among web developers in relation to web applications in the cloud. Essentially Docker is a more versatile and efficient alternative to virtual machines.